Yggdrasil Gaming, a Cherry AB (publ) – STO: CHER-B.ST – subsidiary has further extended its reach in Italy with a deal to provide content to leading Italian gaming operator Snaitech. 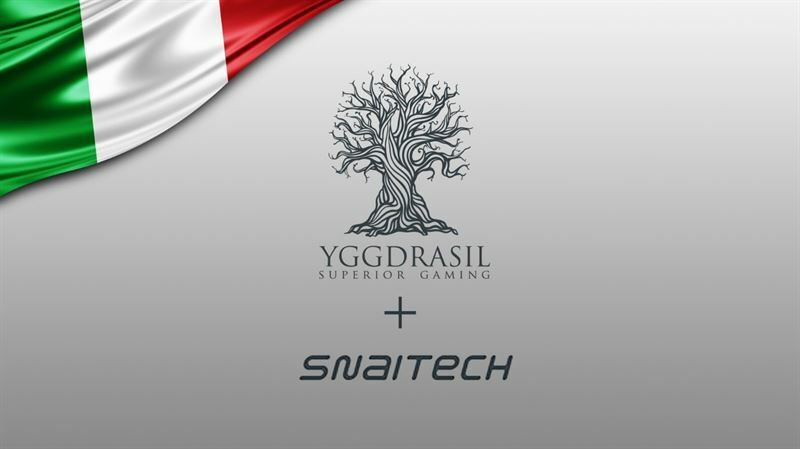 The agreement will give Snaitech, leader in betting retail, access to award-winning Yggdrasil titles certified under Italian regulations. Snaitech will receive Yggdrasil’s collection of in-game promotional tools, BOOST™ and social sharing tool BRAG™, enabling the operator to increase and complete its online casino offer. Snaitech, which is listed on the Milan Stock Exchange, is leader on the Italian Gaming and Betting market. Founded through the integration between Snai Spa and the Cogemat group companies in late 2015, has headquarters in Milan, Porcari (Lu) and Rome. Further information on www.snaitech.it. This information was submitted for publication on 21 December 2017, at 10:00 a.m. CET.